This is a sheet that can be used when a student is out sick. 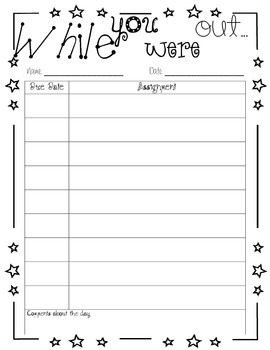 Can be filled out by a student or a teacher. Gives an area for the due date and the assignment and also a box at the bottom for comments about the day. Hope you enjoy this as much as I do!